Galaxy S8 Diagnostic Test - Keep your Galaxy S8/S8+ performing at its the best. Nothing to worry using this phone, for now Samsung performing hard test for this Galaxy S8 before release to the market. 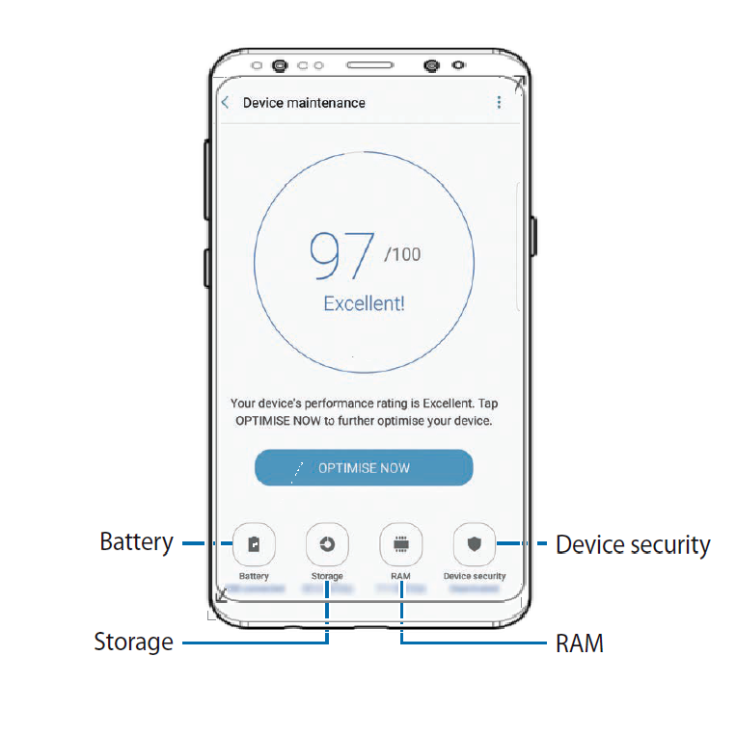 And there are online support to keep your Galaxy S8 on best performance, you can improve and speed up by read this manual that guide you to maintenance your S8 with tutorial tips and tricks. Optimize your Galaxy S8/S8+ by getting remote diagnoses available at Support Member Only. If a visit to the Samsung Galaxy S8 service center is needed, find the nearest one and schedule an appointment. Get the latest news and update Galaxy S8 devices, find top tips on how to make the most of popular Galaxy apps and read the stories behind the innovations that make the Galaxy S8/S8+ so good. Samsung Members keeps your life uncomplicated by offering the services you need from Galaxy S8/S8 plus related tips to solving problems in one easy-to-use app. Sign up and get access to a wide range of benefits available to the Samsung Members community. From exclusive event invitations to discounts on services, from benefits that increase as you level up to coupons, get it all in the Samsung Members app. 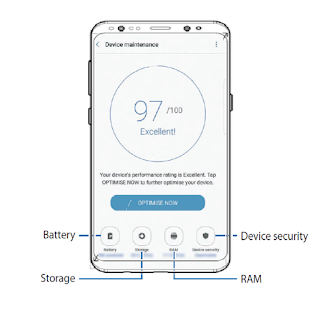 You can do this maintenance feature by Samsung Galaxy S8 provides an overview of the status of your device’s battery, storage, RAM, and system security. You can also automatically optimise the device with a tap of your finger. On the Settings screen, tap Device maintenance → FIX NOW or OPTIMISE NOW. The quick optimisation feature improves device performance through the following actions. Deleting unnecessary files and closing apps running in the background. Check the remaining battery power and time to use the device. For Galaxy S8 with low battery levels, conserve battery power by activating power saving features by read this following manual instructions:. On the Settings screen, tap Device maintenance → Battery. The usage time left shows the time remaining before the battery power runs out. Usage time left may vary depending on your device settings and operating conditions. You cannot receive notifications from apps that use Galaxy S8 power saving mode. You can save battery power by read this Galaxy S8 tips and tricks preventing apps that are running in the background from using battery power when they are not being used. Tick apps from the apps list and tap SAVE POWER. Tap → Advanced settings to set app power monitor options. You can set the Galaxy S8/S8+ to charge the battery more quickly. Tap → Advanced settings and tap the Fast cable charging switch to activate it. To check the status of the used and available memory. On the Settings screen, tap Device maintenance → Storage. The actual available capacity of the internal memory is less than the specified capacity because the operating system and default apps occupy part of the memory. The available capacity may change when you update Galaxy S8. On the Settings screen, tap Device maintenance → Storage, CLEAN NOW. To delete files or uninstall apps that you do not use any more, select a category under User data. Then, tick items to select and tap DELETE or UNINSTALL. On the Settings screen, tap Device maintenance → RAM, tap CLEAN NOW. Check the Galaxy S8 security status. This feature scans your device for malware. On the Settings screen, tap Device maintenance → Device security. On the Settings screen, tap Applications.